WHAT are Stop the Bleed kits? “Stop the Bleed” (STB) is a national initiative begun in 2011 as a way to heighten the public’s awareness of, and ability to respond to, immediate life threats posed by major arterial bleeding. STB kits are placed in airports, schools, churches, concert venues, shopping malls, and other locations where groups of people are found. These kits are designed to be used by anyone present at an emergency, much like an AED (automated external defibrillator). The kits are usually small, single-purpose bleeding control (B-CON) kits which contain items selected to enable untrained or minimally trained laypersons to stop or significantly slow loss of blood at the point of injury. These are often referred to as “Stop the Bleed” kits, because the Stop the Bleed initiative has been a leader in promoting their presence and use. WHERE are Stop the Bleed kits? The short answer is “they’re almost everywhere, if you know where to look”. The STB initiative can be credited for at least some of the dramatic rise in the number of STB kits now found in public places, as well as for the hundreds of thousands of non-medical professionals who have taken very brief but very effective Stop the Bleed trainings that are now widely available. Many who have received such training have taken it upon themselves to buy or build their own kits for their homes, shops, cars, packs, four wheelers, boats, range bags, or even for every-day-carry (EDC) in their pockets. In addition to cabinets shared with AEDs, dedicated STB Cabinets containing multiple single-treatment STB kits are becoming more common in industrial settings, recreational facilities and public places where the sheer density of human numbers increases the possibility of multiple injuries. In facilities such as schools where lockdowns are probable in the event of an active shooter incident, single kits are placed in safe corners of classrooms, out of the line of sight from the doorway. Multi-treatment kits are also commonly placed in central locations in the building such as near the main office, library, cafeteria, and even out on ball-fields (central locations might become inaccessible in a lockdown situation). According to the American Heart Association, each year in the U.S., there are approximately 359,400 Emergency Medical Services (EMS)-assessed cardiac arrests outside of a hospital setting and on average, less than 10% of victims survive. But communities that have advanced comprehensive AED programs including CPR and AED training for first responders, have achieved survival rates of nearly 40% for cardiac arrest victims! It is therefore little wonder that AED cabinets have become ubiquitous, now found in every location from airplanes to zoos. It makes sense that those cabinets should also house bleeding control kits. They are already well placed in high population-density, high visibility/accessibility areas. 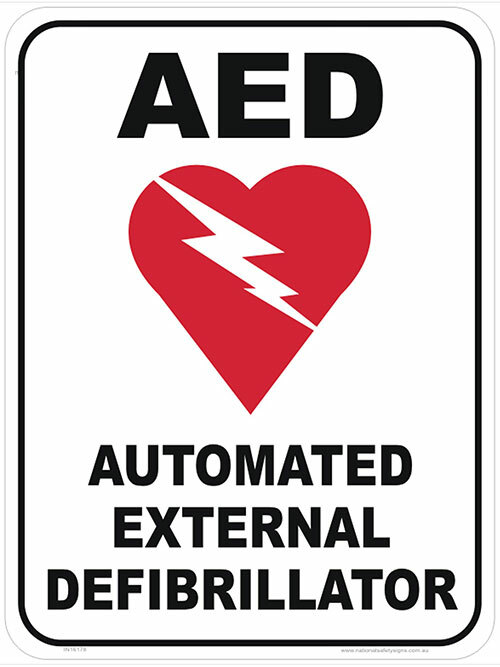 Adding the STB kits to existing AED cabinets saves the expense of installing additional alarm locks (AED cabinets are usually alarm-rigged so that responders are automatically notified of an emergency when the cabinets are opened). WHAT DIFFERENCE can Stop the Bleed Kits make? According to the Journal of Emergency Medical Services (JEMS), around 5 million people die every year worldwide from trauma, and exsanguination (bleeding out) accounts for approximately one-third of these deaths. Data from the wars in Iraq and Afghanistan shows a reduction in battlefield deaths caused by traumatic bleeding from extremity injuries by up to 85%. This statistic alone would indicate a tremendous upside to training and providing public access Stop the Bleed equipment for civilians to deal with hemorrhagic bleeding. The principles are so basic that only a few hours are required for most people to gain a lifetime of ability—and perhaps more importantly—the confidence that they can intervene to save a life in an emergency. WHAT IS IN a Stop the Bleed kit? STB kits contents are not rigorously defined, though kits bearing the official Stop the Bleed logo are required to be submitted to and approved by the Department of Homeland Security. STB kits typically contain tourniquets for stopping extremity bleeds, plus gauze and pressure dressings for dealing with thoracic and groin wounds and sometimes chest seals. The tourniquets are often windlass-driven types such as North American Rescue’s C-A-T, the SOFTT-W from Tactical Medical Solutions or the XT by SAM Medical. Some STB kits contain the elastic SWAT-T tourniquet, which can also serve as a pressure dressing cover, and may be less intimidating to the untrained civilian responder. Gauze and pressure dressings can be extremely effective in the hands of someone trained in the wound packing techniques taught in bleeding control classes. Hemostatic gauze such as Celox, Quickclot or Chito-SAM, used in conjunction with wound packing, can greatly reduce time required to stop blood loss. This can save lives in the case of a mass casualty incident, or any situation where time for treatment is limited. Other usual STB components include gloves (to protect the responder from possible blood-borne pathogens) and shears, which can rapidly remove clothing from a wound site to enable treatment. More elaborate kits designed for use by trained responders are sometimes loosely referred to as Stop the Bleed kits. Such kits can contain items unrelated to bleeding control, such as decompression needles and nasopharyngeal or oral airways. Public access STB kits rarely contain such materials, as their misuse can endanger patients. Public access Stop the Bleed kits have already proven their worth, and are credited with numerous lives saved. Despite their simplicity, their basic components enable most people to effectively address life-threats at the scene of injury, so nobody should be afraid to use them when needed. Many law enforcement and EMS agencies have expressed their hope that STB kits become as prevalent in public places as AEDs. “You are the help until help arrives” is the maxim that should apply to all of us, should we find ourselves with an injured person who is bleeding profusely. It is up to each individual citizen to make mental notes of where we have seen them, familiarize ourselves with the components of the kits, and gain the minimal knowledge required to employ them effectively, and to accept our role as first responders.